No buses loaded with tourists. & we'll do the guiding. WOULD YOU LIKE TO EXPLORE THE LUSH RAINFORESTS OF MAUI IN A JEEP? FROLIC IN HIDDEN WATERFALLS OR DISCOVER BREATHTAKING NATURAL WONDERS? HIKE THROUGH A BAMBOO FOREST TO A 400 FOOT WATERFALL? 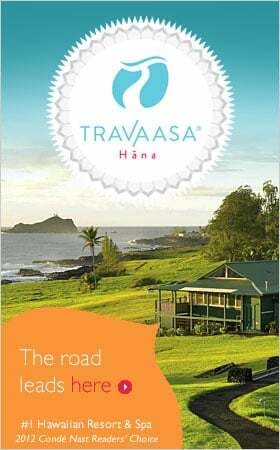 FIND ALL THIS & MORE WITH THE R2H ROAD TO HANA AUDIO GUIDE. And that's just if you stay in your car.